Words can't describe the overwhelmingness of where we went today. 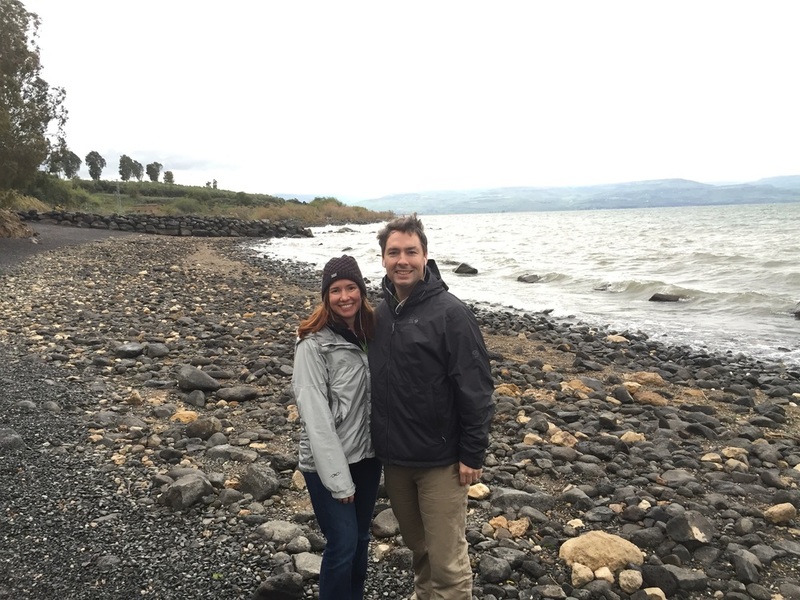 We saw the hill where the feeding of the 5,000 took place, went to Capernaum where Jesus spent a great deal of time and stood on the beach where Jesus reinstated Peter after his triple denial in John 21. Let me start there. The reason we know this is most likely the exact beach is because where the Jordan river used to flow into the Sea of Galilee (yes rivers change their course over 2,000 years). The Jordan fed the lake here and fish used to hang out here in droves, therefore it was a great spot to fish, plus it was near Capernaum, where several of the disciples were from, so voila, this is a well known place to fishing for someone like Peter. This is the spot where after the resurrection the disciples aren't sure what to do, so Peter says "I'm going fishing" and several of his buddies go with him. They fish all night and catch nothing, but then a guy on the beach calls out to them and tells them to cast their nets on the other side of the boat. When they do, they catch a huge haul of fish. This was the same spot where Jesus first recruited them to be his followers using the same miraculous catch of fish! They freak out, Peter jumps out of the boat with his clothes on, and come back to the beach where they have breakfast with the resurrected Jesus. That happened right here! This is one of those passages that is so incredibly meaningful to me because I've read it hundreds of times, taught it numerous times and had tons of incredible discussions with other Christians about the meaning and depth of this passage. To be standing on the spot where this actually went down was enthralling. I wanted to stand there all day in the wind and rain to just drink it in. It's not to different from how I imagined it, but to just know that this is where Jesus asked Peter "Do you love me?" three times was too much to try and actually digest. It's such a gift to be here! Peter's mother in laws house was just about 50 yards from the local synagogue where Jesus taught and healed in Luke 4. Look it up. The synagogue where Jessica is standing was that synagogue! He taught and healed demon possessed man on this very spot!!!!!!!!!!!!!!!! AAAAAHHHHHHH its too much to process! Then after he did that he walked a little ways (very close) and healed Peter's mother in law, then stayed up late healing people from all over the town at her house. Then he snuck off and found a place to be alone. This location is pretty well preserved and you really feel like you're there! I read Luke 4 and made a little video showing what was happening while I read it out loud. I can't post it yet because the wifi is so sketchy here, but perhaps when we go to Jerusalem later this week! Technically the synagogue Jesus taught in was in this same spot but slightly different. 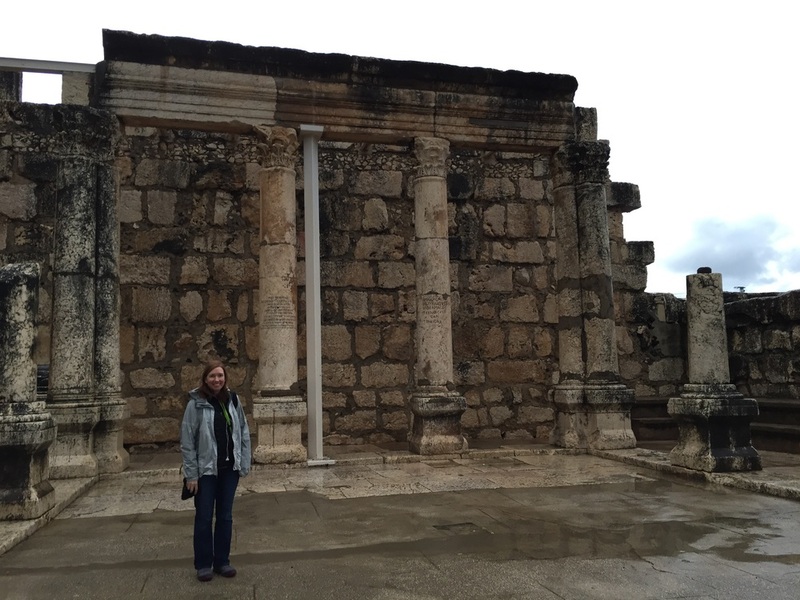 This one was built on top of the old one, but if you go to the side of this structure you can see the original foundation which is only 18 inches below where Jessica is standing, so for all practical purposes, Jesus literally stood there! So much more I'm not posting because of the internet! More tomorrow!